Perhaps you remember the sticker shock of walking into the bookstore as a freshman and seeing the price of your biology or statistics textbook. With five classes to consider, one $300 textbook can break the bank. In fact, the escalating price of textbooks is a significant concern for undergraduate students, many of whom struggle to afford the $1,200 nationwide-average cost of textbooks and supplies each year. GW Libraries and Academic Innovation (GWLAI) is committed to “providing all GW students with access to an experience that reflects affordability, value, and transparency,” as stated in President LeBlanc’s new strategic initiative. GWLAI is working to improve short- and long-term affordability at GW through programs, such as Top Textbooks, and through the promotion of open educational resources (OER). Now in its third semester, Top Textbooks acquires multiple copies of required textbooks for a select group of undergraduate, high-enrollment courses with traditionally expensive textbooks, and places them on course reserve for use by all students. This means that students needing a $300 biology textbook can choose to check out the library copy rather than put themselves in financial peril. Just in its first academic year, the Top Textbooks program has helped students save over $70,000. In addition to assisting current students, GWLAI is looking to facilitate long-term change by advocating the use of open educational resources, which are high-quality educational materials available as no cost substitutes for traditional textbooks. 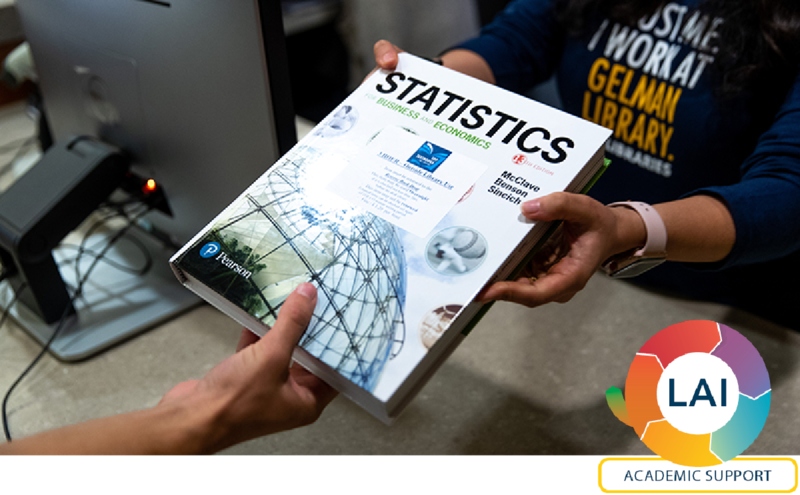 Some GW faculty already use affordable textbooks and library resources as course materials, and GWLAI librarians actively educate faculty about the need for more affordable textbooks. They also assist instructors in finding and incorporating freely available materials into their courses. To learn more about how to support equitable access efforts at GWLAI, please contact Tracy Sullivan, executive director of development, GWLAI, at 202-994-8928 or [email protected].